ADXL335 is 3 axis accelerometer with analog output from Analog Devices. You can buy it as an evaluation kit with standard 2,5 mm connector. 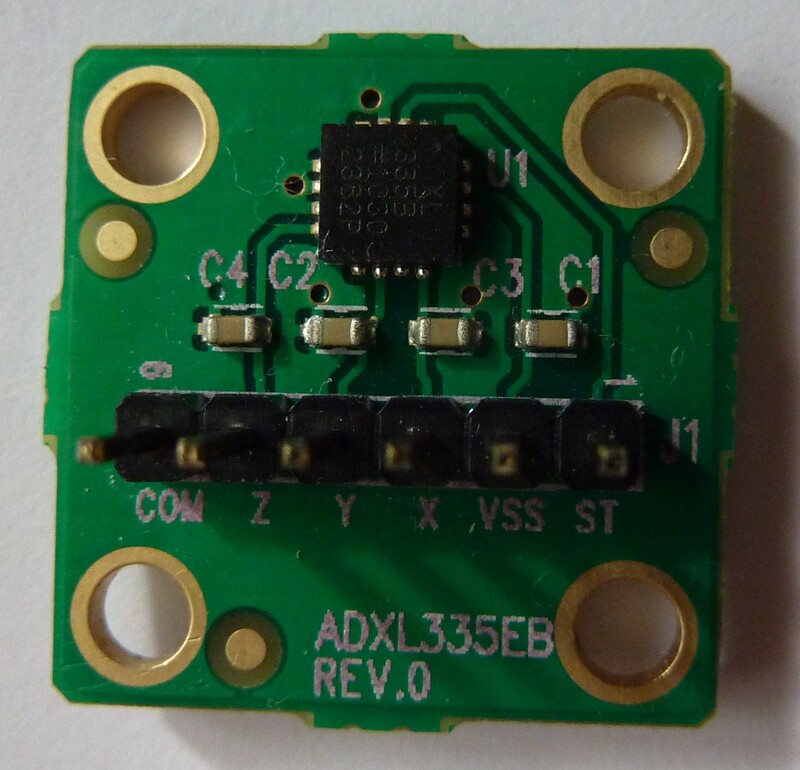 ADXL335 acceleration measurement range is +/- 3 g. Supply voltage is 1.8 – 3.6 V, however all specifications at the datasheet is given at 3.0 V. This accelerometer has 3 outputs for X,Y,Z axis which voltage is proportional to acceleration on specific axis. At midpoint when acceleration is 0 g output is typically 1/2 of supply voltage. If a supply voltage is 3V, then output is 1.5 V. Output sensitivity typically is 300 mV/g. This entry was posted in Arduino and tagged A/D, ADXL335, Arduino on July 17, 2011 by Darius.